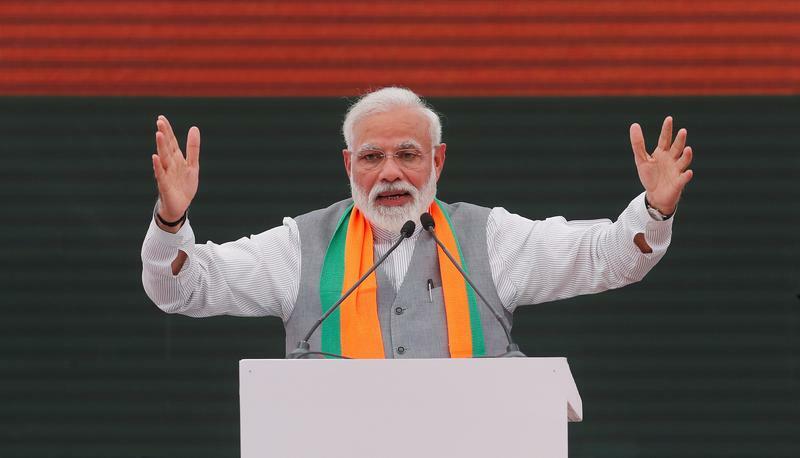 FILE PHOTO: Indian Prime Minister Narendra Modi gestures as he speaks after releasing India's ruling Bharatiya Janata Party (BJP)'s election manifesto for the April/May general election, in New Delhi, India, April 8, 2019. India’s benchmark Nifty 50 hit a record high on April 3. Voting in India’s general election will take place from April 11 to May 19.